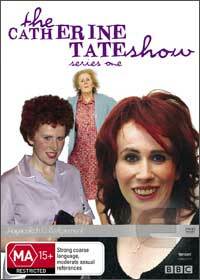 The Catherine Tate Show series one is now available on DVD that features one of England's most talented comedians that is reminiscent of shows such as Little Britain and the like. Tate, the star of the series plays a variety of different people from a hilarious grandmother with her strong Cockney accent to a very outspoken school girl (think Summer Heights High). All the characters that Tate plays are extraordinary and it's difficult to believe that the mild mannered Tate is actually the characters themselves. Tate has a wonderful talent for taking everyday people and picking out the humor in their situations and apart from the skits, the makeup and costumes that our star uses makes her almost totally unrecognizable. Definitely recommended to anyone who loves British comedy or for those that found Little Britain a laugh a minute. Great stuff!